It’s Tuesday again, boy do these weeks fly by! Our Teaching Tactic for today is to have your student play a measure, phrase, or any small section of the piece correctly 3 times in a row. 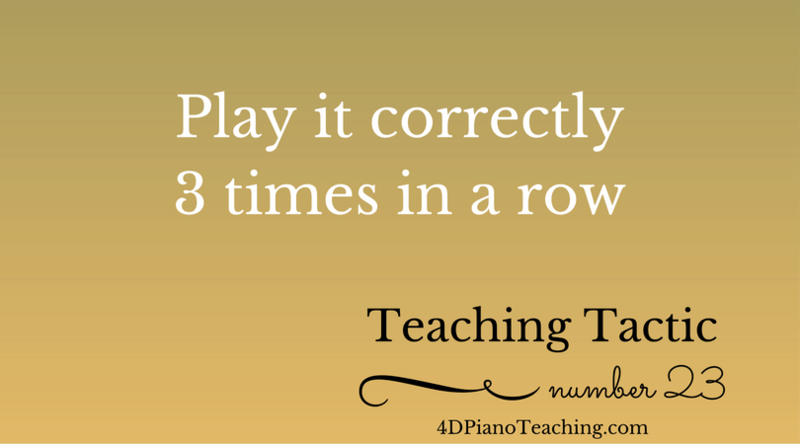 As piano teachers, we know that correct repetitions are crucial to reliable performances. But teaching our students the value of repetition can be a challenge. I like to set it up like a game.